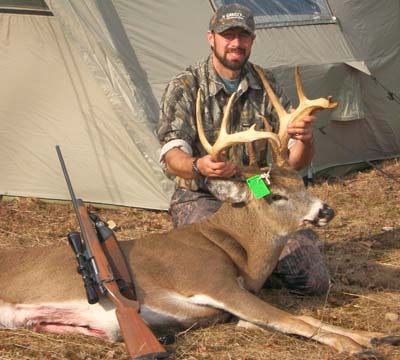 12/12 Southern Comfort: When does a Northern Zone hunter go to the Southern Zone? How about after the Northern Zone closes! And, that’s assuming you have somewhere to go this weekend as the late muzzleloading season in the Southern Zone is open through Dec. 18. 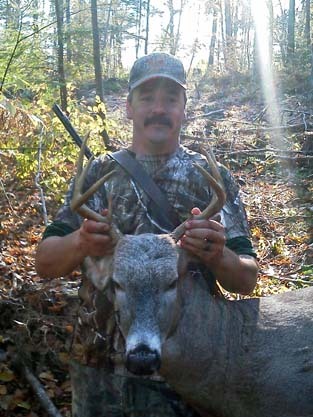 This is a great time to pursue some venison, especially if you have access to an area with plenty of antlerless deer. For this hunter, it’s just one more chance to get in the woods before it’s all over. It’s not even about getting a deer. The forecast for the weekend is actually looks pretty good in terms hunting weather. So, if you go south, please be careful and have some fun. Speaking of the weather, although there’s still plenty of snow in parts of the Adirondacks, other parts have seen it dwindle. 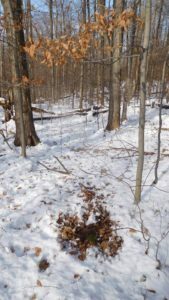 In these areas it might be a good thing as it gives the deer a chance to recover from the rut, and the unseasonable winter weather they endured earlier this fall. There’s not much food out there so any bare ground and browse is beneficial. Deer have been hitting it hard this week. Winter will really be here soon enough. 12/5 Final Stretch, Part 2: All good things must come to an end. 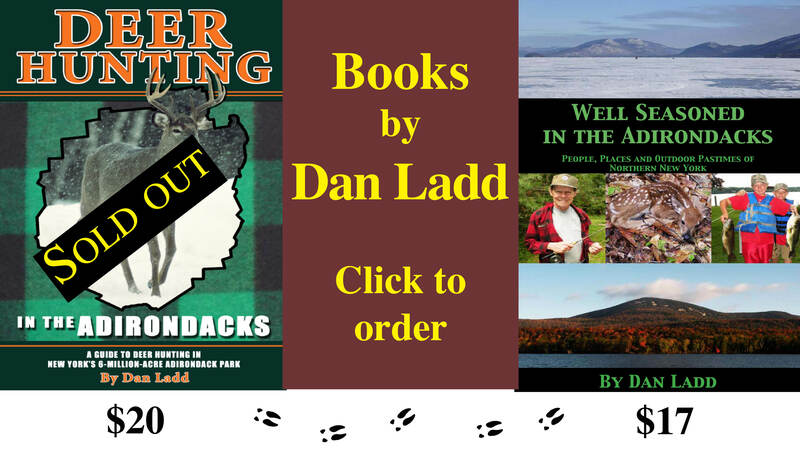 For those of us who hunt the Adirondacks, this year’s hunting has been no walk in the park. But we have certainly endured and the proof is the photos we post here on this website and those that are circulated throughout social media. 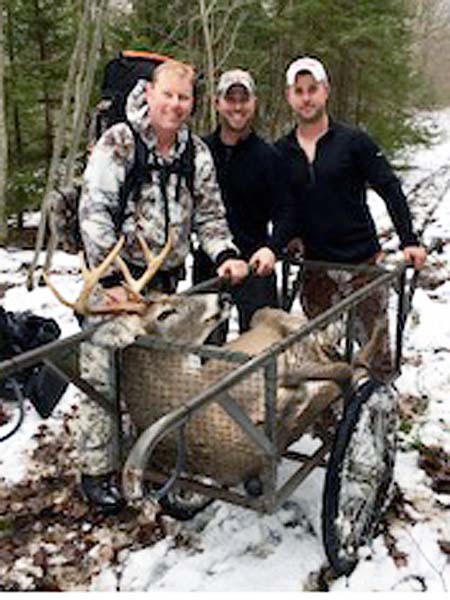 Once again, some fine Adirondack bucks have been brought to the meatpole regardless of wind, rain, or even more snow than many of us wanted. Now we’re down to the final days of deer hunting for the late muzzleloading season that is only open in a number of WMU’s. For some, it’s a chance to go after a second buck, while others (like me) are still looking for the first one. The sun may actually shine this weekend and the temps are going to drop. Deer should be moving and perhaps some bucks can be found still looking to breed some does. It would not be the first time this has happened during the late season. This hunter is living proof of that. If you’re in the woods, there’s always hope. Good luck this weekend. 11/28 Final Stretch Part 1: You wait all year for deer season and it comes down to one final week; two if you hunt the late muzzleloading season. But here we are with less than a week to go, but the action in Adirondacks feels like it’s just beginning. That’s not unusual here as the late season is often the great season. 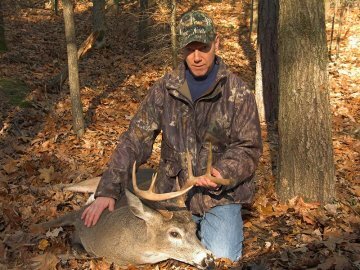 ‘Seems like every hunter you talk to has a story of bucks with does right now. We’ll see what this early week storm does to the region. Once again, some areas may get more snow than they want. Meanwhile, check out the doe groups as wandering bucks appear to be very much on the prowl. Meanwhile, The holiday weekend ended on a fantastic note for my hunting group, the Iron Sight Gang. Sunday we waited out the storm then hit the woods later in the morning. On our second drive I put a young hunter, Adam Mitchell who is 18, on one of our typically hot watches. Therefore I was not surprised to hear him shoot. 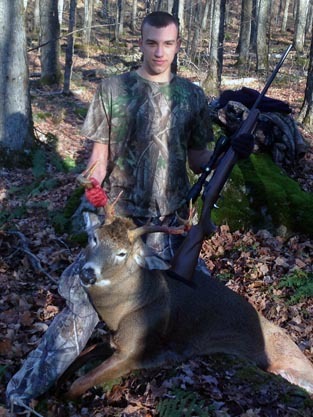 Adam knocked down a piebald, 7-pointer; his first Adirondack buck. He said he thought it was just a buck covered with snow when it popped out of some beach whips jet below him. What’s he’s got is a unique deer and one that myself and another hunter saw two years ago as a fawn. 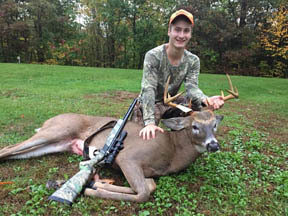 Some folks aren’t akin to shooting white or piebald deer, and I certainly get that, but it certainly was worthy seeing a young hunter, and a fine young man, have success. I was the first to shake his hand. 11/21 Cold Turkey: Winter has reared its head very soon this year. Whether it’s ugly or not is up to the individual hunter. Last weekend’s major snowstorm was really something. Where this hunter was in the northern Adirondacks we found ourselves waist deep, at times, in the white stuff. Hunting there was difficult, and with our plans altered, we opted to come back to the southeastern Adirondacks where there was less snow. Some hunters we’ve heard from made due, and even went out on snowshoes. 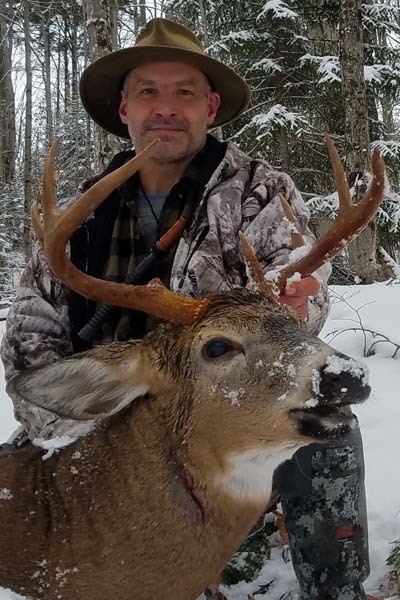 For others, the snow was a blessing and as you’ll see from the photos, some fine Adirondack bucks found their way to the meat-pole. Now, with a full moon approaching, an extreme cold front is coming with it. But it’s only supposed to be temporary and then warm up a bit for the final week of the regular deer season. 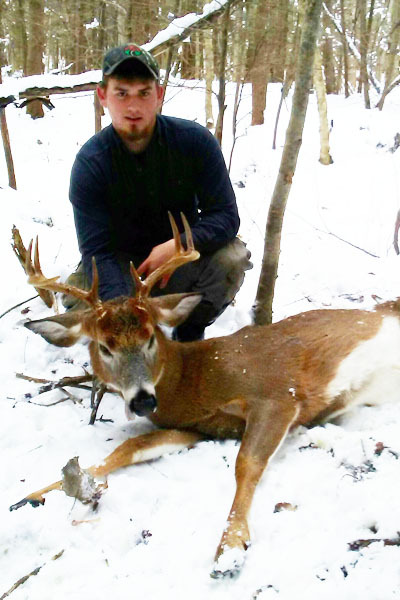 The question raised about the snow-cold combination is if it will trigger whitetail migration. 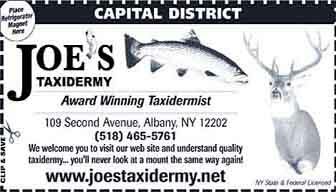 We have a report from a very trusted central Adirondack hunter that this is already happening. The next question is the impact this weather and these conditions will have on the rut. Things finally started to get going just as this weather pattern emerged. Hopefully rutting activity will continue. Finally, here’s wishing everyone a Happy Thanksgiving, and hoping you all get out and enjoy a traditional Thanksgiving Day hunt with friends and family. Stay warm in the process! 11/14 More Snow: For the third time in the past week the Adirondack region is about to get another shot of November snow. There isn’t a hunter out there who doesn’t want snow to hunt on, but too much of a good thing is possible for the hunter spending a lot of time on foot. But, that’s the way it goes during the most unpredictable time of the year. Also, any snow we get is likely to stick around as there is not much of a warm-up in the long-range forecast. 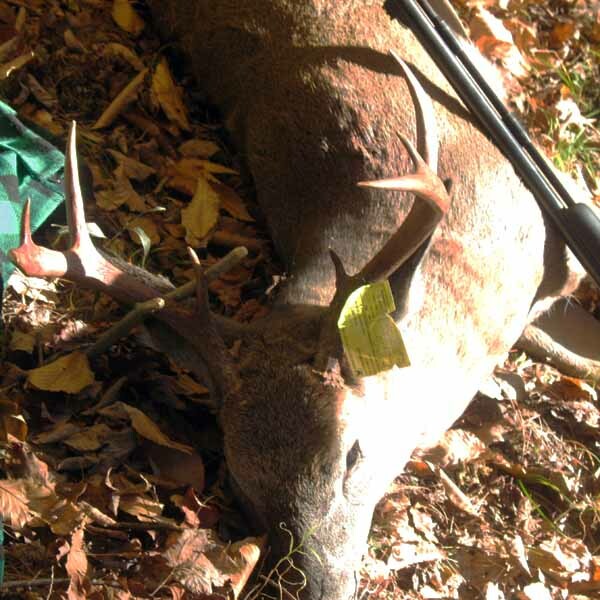 Bucks continue to fall around the region but many hunters remain frustrated with scattered food sources. Ferns, briar patches and anywhere deer can browse seem to be the go-to spots. Find what they’re eating and you’ve found deer. And with the rut in progress you’ll likely find some bucks. We’ve found more rubs over the past week then we have thus far in the season and we also found a few scrapes on top of the snow. Hopefully there’ll be more of that in the fresh snow, which certainly gets the hunter excited. 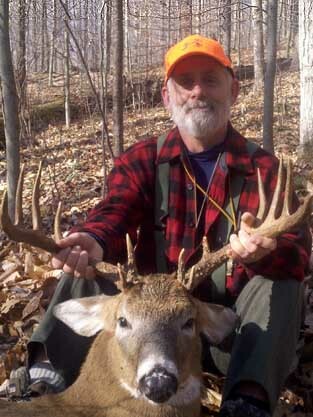 Meanwhile, the Southern Zone opener is Saturday, Nov 17 and many hunters “head south” leaving the Adirondack woods a little quieter for the rest of us. Be safe out there and hopefully the snow helps, more than hinders, your hunting efforts. 11/7 Peak Weekend: We’re about to enter the heart of the 2018 deer season. We get seven weekends to hunt and No. 4 is approaching. It’s mid-November and mid-season, already. Still, as much as we’re seeing some photos and deer stories come in from successful hunters, things have toned down a bit since the early part of the season. Food sources are sporadic, and therefore so are deer. There’s also not a ton of buck sign out there, yet, so if you are on to any doe groups, food sources and/or buck sign, then consider yourself fortunate. And be sure to hunt it! The weather that lies ahead looks unpredictable but the southern and western Adirondacks appear to be headed for some lake effect snow. The forecast for later next week could bring more of the white stuff across the entire Adirondack region. As hunters, we welcome it but be careful what you wish for. Too much snow, say the knee-deep stuff (Google Nov. 14, 1997 or Thanksgiving, 2014) can hinder more that help hunters. But, we take the hand we’re dealt and the way this season has played out thus far has this hunter thinking that mo matter what the weather is, the second half is going to be more interesting than the first. Let’s hope so, for the sake of all of us with a tag to fill. 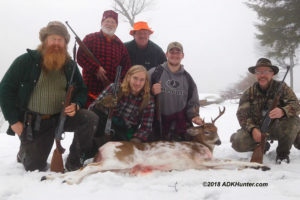 11/1 Here We Go: It’s been a quiet week here at ADKHunter.com, with just a few photos trickling in from successful hunters. That, after a great start to the season. With last weekend’s soaking weather it was to be expected. While this hunter doesn’t mind hunting in the rain, short of the downpours, I prefer to slow down and maybe take a stand or spend some time still-hunting through some hemlocks, rather than brush-busting through a deer drive and getting my tail soaked. To each their own. It looks like the eastern ADKs could be in for a rainy Saturday, but the rest of the weekend into early next week looks good, with some falling temps to boot. Sunday should be a solid hunting day across the region; not just because of a moving thermometer (and barometer,) but it is simply November and the whitetail’s world is one that is in constant motion. 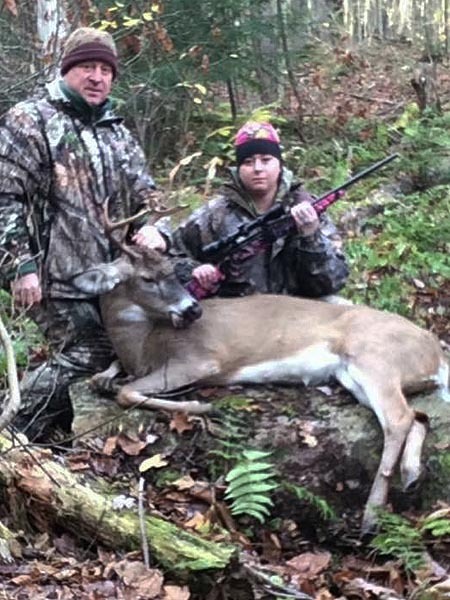 Keep an eye on any doe groups you’ve located as they should be having a little company in the form of their male counterparts. And if you’re in an area where an early season buck has been taken, don’t fret, another will soon come in to take his places as the does estrous cycle intensifies. This is the time of year we’ve all been waiting for. 10/25 – Nor’Easter: ‘Sorry for the late Thursday post, but I’ve held off as long as I can in anticipation of an updated weather forecast for the weekend. It looks like a Nor’easter is on it’s way here and that is either a bummer or a blast depending on where you are. A soaking rain will keep all but the hardiest of Adirondack hunters out of the woods. But some snow, which is likely possible at higher elevations (we’ll know when it gets here), would certainly be encouraging for those lucky enough. Then again, be careful what you wish for and that also depends on your location. Downed trees and power outages at home can sure put a damper on hunting, and snowstorms this time year have the potential for that. In the woods, it was a solid opening week of deer season with some tags being filled. Some hunters are reporting an up-tick in buck sign, but overall I wouldn’t say the woods are exploding as a whole. Our gang has killed two bucks thus far and the urine on those tarsal glands was not as odiferous as one might prefer. Yet, other successful hunters we’ve spoken to said they were quite ripe. 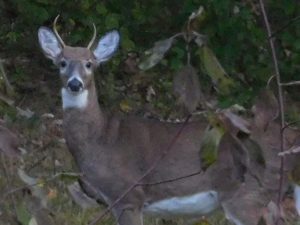 One morning this week I watched a small spike buck shadow three does. I’ve seen those does a few times this season without “spikey” in the mix. So, perhaps things are getting ready to pick up. Good luck this weekend, and stay dry. Meanwhile, here’s the latest on the storm. 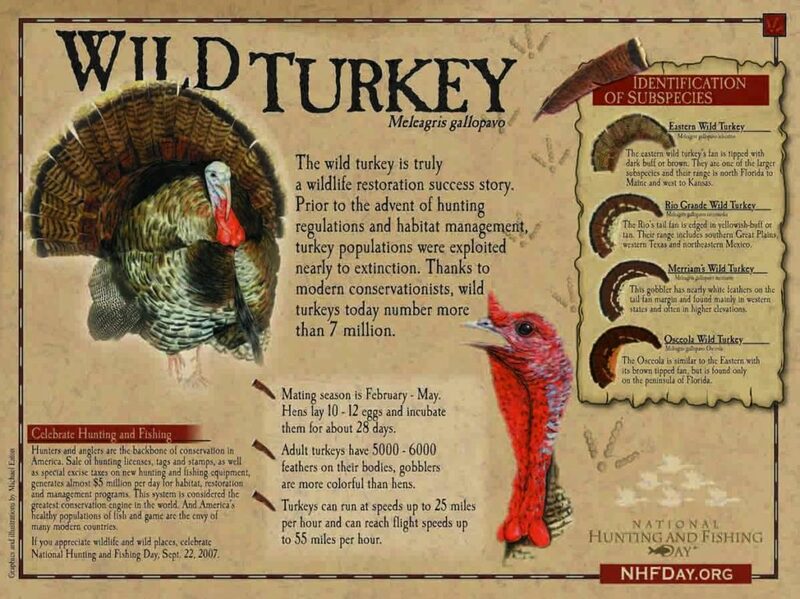 10/17 – Time to Hunt: As I write this it is Thursday afternoon and I’m wrapping things up before spending an evening on stand with the muzzleloader, and having Friday off to head for deer camp and do even more black powder hunting. This despite a cold coming on. Oh well, it’s deer season and I can’t wait and I know that neither can so many other hunters. Finally, a freeze hit most of the Adirondacks last night with more to come, which along with the wind is knocking some leaves down. Although the underbrush has a ways to to, the woods look much different than they did just days ago. As for buck sign, just today a friend who was in the same spot both Sunday and this morning reported fresh buck rubs showing up, so things are kicking in. If anything, the early season is a time to do some scouting, find some does and begin putting the pieces together of a puzzle that is six-plus weeks of hunting. Of course, if opportunity knocks, take it. It will go by fast, so get out there and make the most of it. We wait all year for this. Good luck! 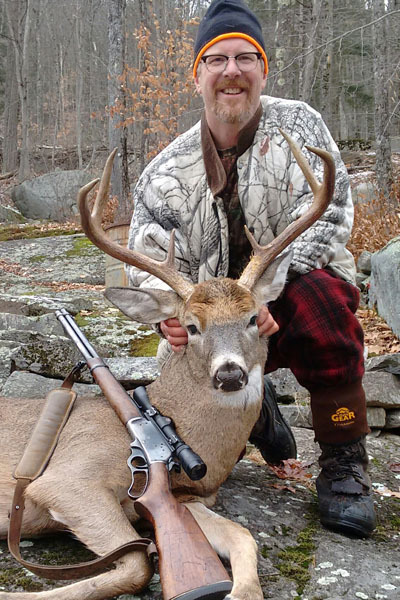 10/10 – Smokepole Time: This year, the muzzleloading and rifle seasons open as early as they possibly can due to their relation to Columbus Day. It will be the opposite next year. 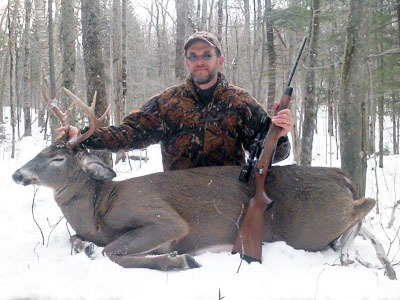 So, here comes the smokepoles as the Northern Zone muzzleloading season opens Oct. 13. Keep in mind that WMU’s 6F and 6J in the Adirondacks and 6N on the Tug Hill Plateau are buck only areas again this season. As for the rest of us, let’s hope we’re aware of our local deer populations before we pull the trigger on an antlerless deer. Some places simply have better deer populations than other. Mother Nature is the story of the weekend. After a hot stretch that kept many of us out of our bow and crossbow stands, here comes a change. The barometer might not move much but the mercury sure will. One has to believe that this will get deer moving and feeding for the weekend hunt, and beyond. Although there are some social obligations, this hunter plans to spend as much time in the woods as possible in the coming week. Part of that is to enjoy the fall colors that come with the early muzzleloading season, despite the lack of visibility, and the other is to look for sign like rubs, scrapes and food sources. Let us know how you’re making out with this stuff and if you have some luck. Hunt safe! 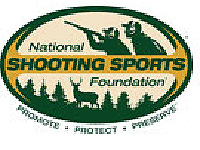 10/3 – Youth Hunting Weekend: Columbus Day Weekend features New York’s big game youth hunting weekend. Kids 14-15 get to have at it, with many hoping to tag their first deer or bear. We wish them, and their mentors, all the best. If you are taking a young person out hunting this weekend, then hats off to you. 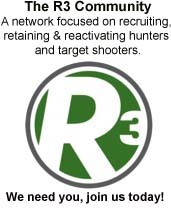 Recruitment of new hunters is at the top of the list for insuring the future of hunting. Meanwhile, this week’s rain was much-needed and surely swelled the beaver ponds and creek-beds that had been dry or down to a trickle. It might be bad news for some bowhunters who were targeting limited water sources, but overall it is a good thing. I was able to get out over opening weekend and spent some time with boots on the ground, mostly checking on food sources. Here in the southeastern ADKs there appears to be somewhat of an acorn crop, but not every oak tree is dropping acorns. At least not where I was over the weekend. Visibility is an issue and will be until we have a hard-freeze, and even beyond. It didn’t stop me from taking a crack at some Northern Zone turkey hunting on opening day, which proved to be extremely lucky. Speaking of luck, or skill, check out a few of the photos that have trickled in. We’ve got bucks, bears and turkeys. Keep them coming. 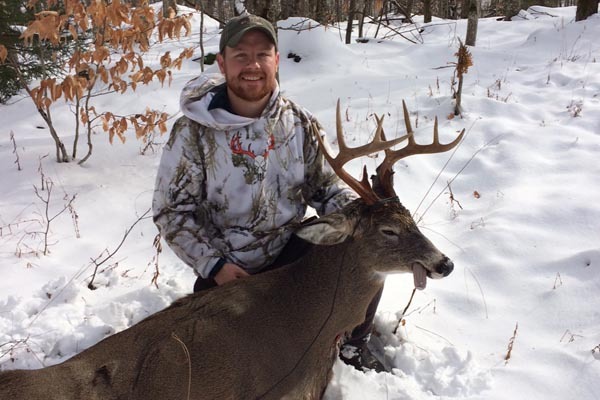 10/1 – A Weekend in the Books: Well, October is here archery season is open all across New York. But, for four days it was all about the Adirondacks and we hope you were able to get out. The weather wasn’t bad, at least not as warm as last year at this time. This hunter did nearly get a close shot at a doe while a few others were able to fill some tags, including a couple of nice bucks that we’re hearing of. 9/24/18 – Almost Here: Let the countdown begin to deer season as the Northern Zone early archery season begins Thursday, Sept. 27. If you’re like me, you miss what are now the old days when the sporting license year ended on Sept. 30 and you had those last four days of September to use an old tag, if you had one. It was the same for early season bear hunters. Moving the sporting “New Year” to Sept. 1 does simplify things for DEC, however, and that’s not going to change. Despite the fact the foliage seems to be quite a bit behind, things are looking good for the archery opener. Deer are on the move and where present, are hitting the acorns pretty hard. Apples appear to be gone but if you’ve got them, deer are likely around. There has been no evidence of a beechnut crop, so if you are finding some, please drop us a line or Facebook message and let us know. Some areas seem to be quite dry, so water holes could be good spots to set up for the early hunt. And let’s not overlook the small game. Grouse and squirrel hunting seasons are open, with more to follow. 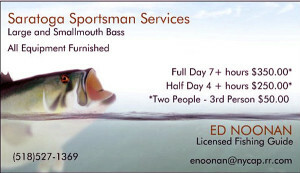 If you are a squirrel hunter and a fisherman, Mepps wants your squirrel tails and will be happy to trade them for lures. 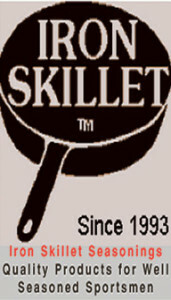 Learn more about it a https://meppsandmistertwister.cmail19.com/t/r-l-jjtriktl-urukzqlt-i/. 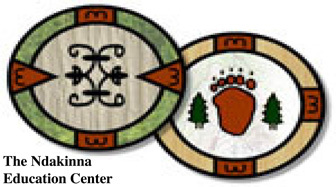 Lastly, we have not heard from any bear hunters out there. The season got off to a warms start, for sure, but if you’ve had some action we’d love to hear about it and get a photo. Email me any time. Good luck out there, be safe, and have some fun!